Nice sweater! I want to make one for myself, but I am a beginner so when I go up to an 11 1/2 needle? I take a lady's medium sweater I am 5fr 7 in. and weigh 136 lbs. 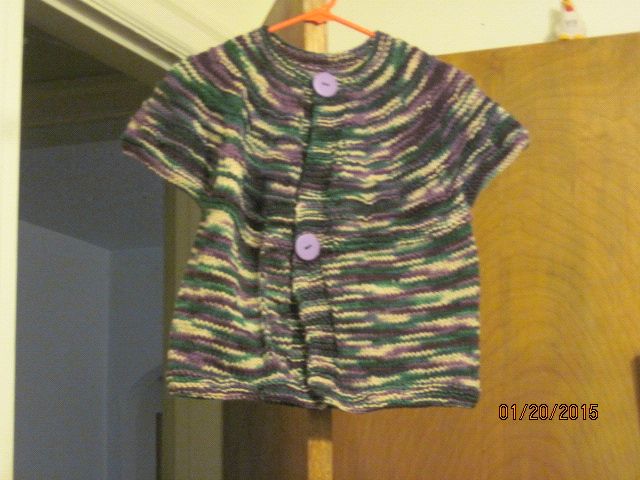 This sweater pattern is only hosted here for a friend. I haven't knit it so can't say how large it turns out. Since this was a guest post I'm sorry I can't help you. I am also interested in any help you could please provide to make this sweater in an adult woman's size. It is just the simple type of pattern I was looking for to make for myself and a friend. Thanks for sharing. I like and love sweater. I suggest you search on Ravelry for a similar pattern in women's sizes.